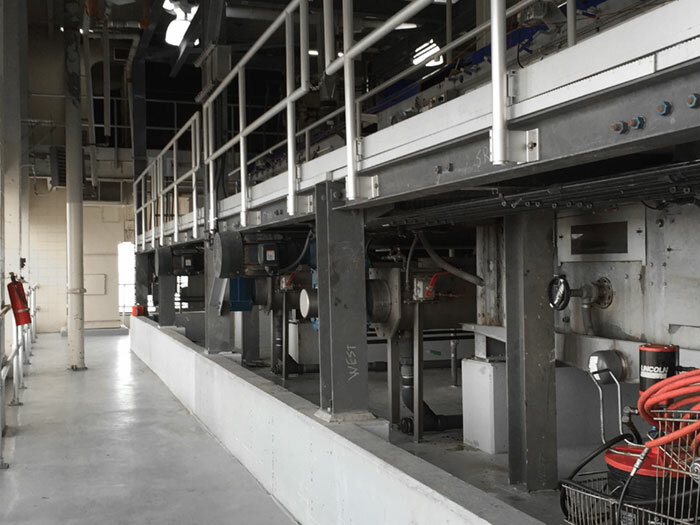 SPIRAC was asked to install a sludge conveyor system, fed from eight sludge belt filter presses at this Wastewater Treatment Plant (WTP). 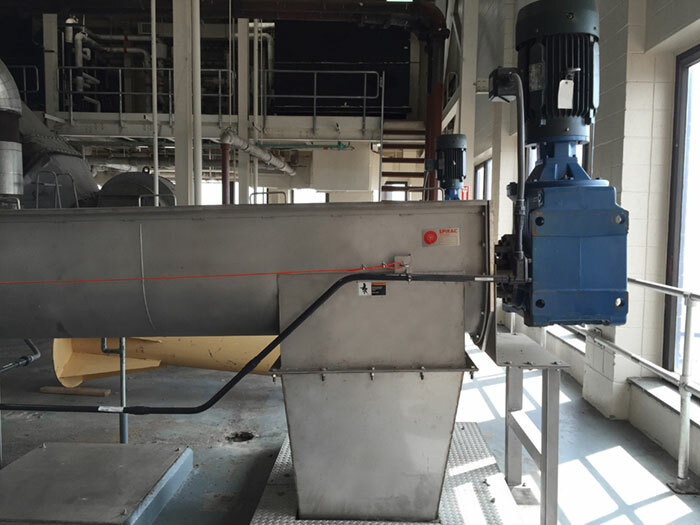 The SPIRAC U500 conveyors receive dewatered sludge from eight Belt Filter Presses spread across two trains. 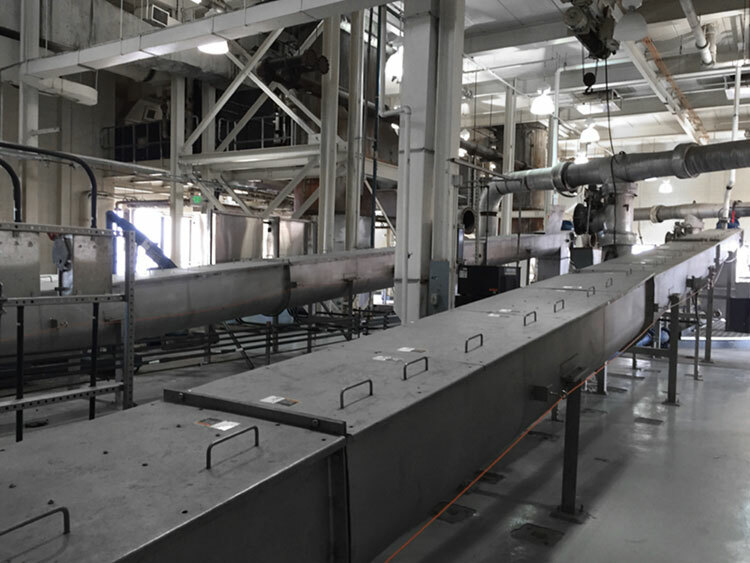 This system has the ability to run one train and discharge to another via the cross conveyors (RSC-1/2). This provides flexibility to the system. RSC-1/2 discharges into 2 trains of U620 conveyors. The contract was awarded in summer of 2011, Phase one commissioned in summer of 2012 and final startup and project sign off by spring of 2013. 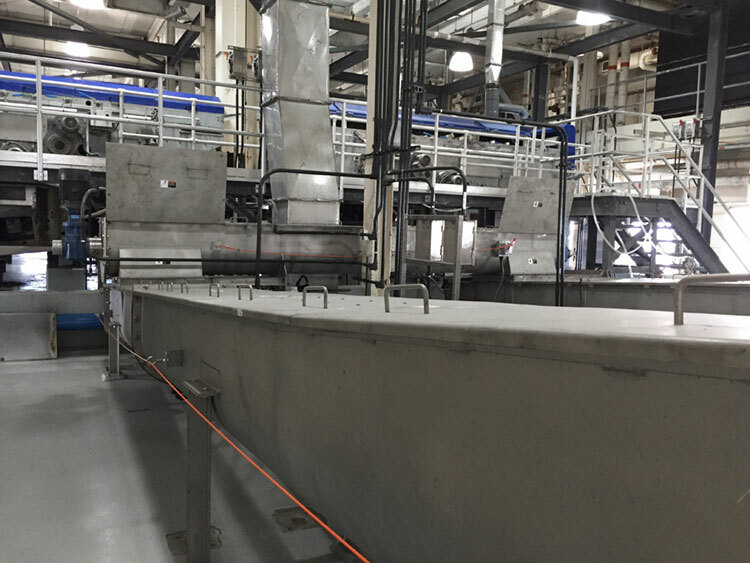 The plant has been in operation since then with minimal maintenance and downtime.